paneer chilla recipe | paneer cheela | paneer ka chilla with detailed photo and video recipe. 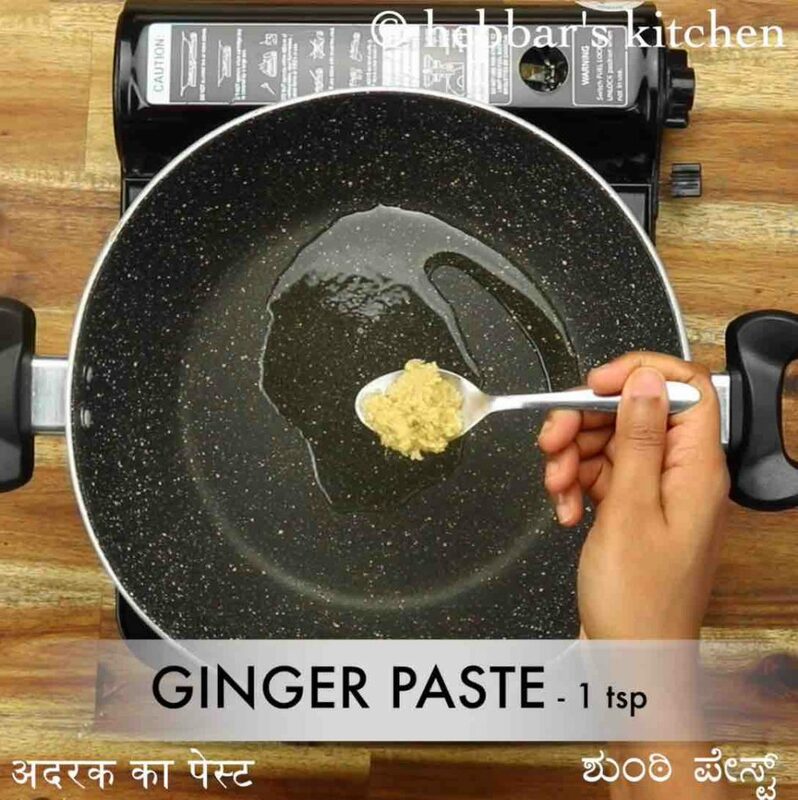 a popular and tasty flavoured pancakes recipe made with besan flour and grated paneer toppings. it is a great meal for early morning breakfast or perhaps as a snack for kids as it supplies all the required nutrients. 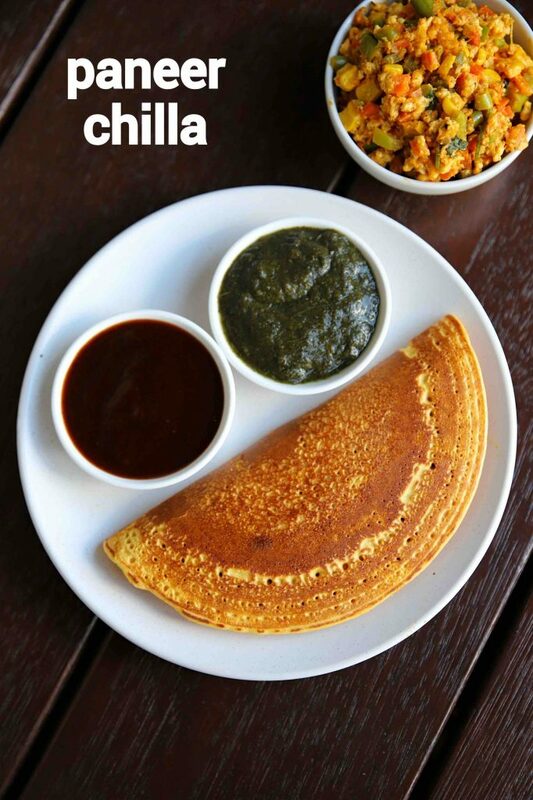 moreover, these pancakes are savoury in taste and do not need any side dish, but tastes great with green chutney. paneer chilla recipe | paneer cheela | paneer ka chilla with step by step photo and video recipe. cheela recipes are traditional north indian breakfast recipe made with besan or chickpea flour. but then there are myriad variations to this traditional recipe and are made with different ingredients and toppings. one such new recent addition to the cheela recipes is paneer cheela where grated paneer is toped on these pancakes. 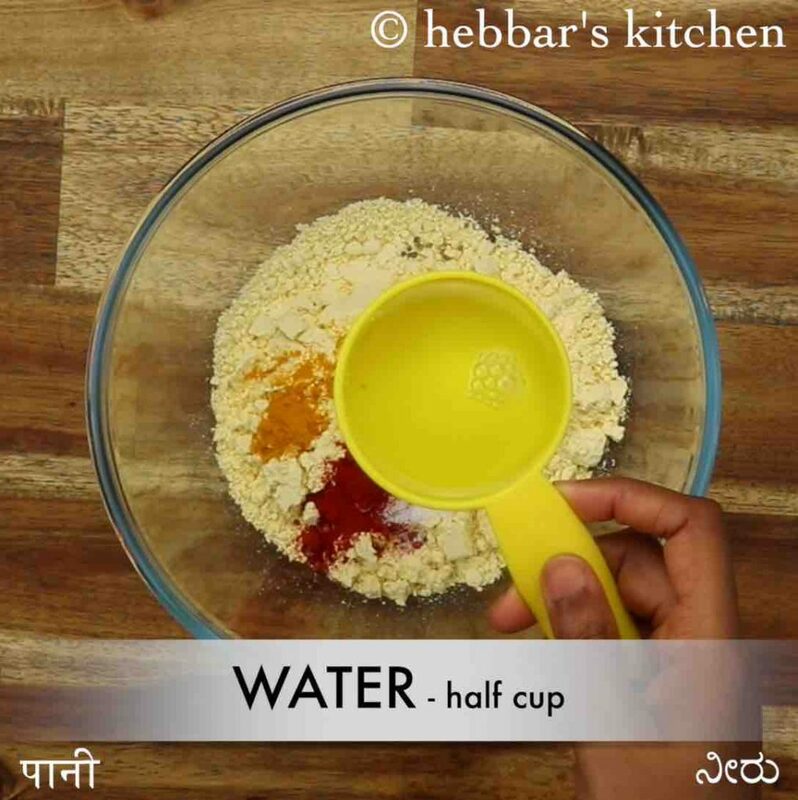 well many start speculating that when i say paneer cheela recipe, the batter is made out of paneer or perhaps with chenna. but the cheela is made with besan or chickpea or gram flour batter as any traditional cheela recipe. the name of paneer cheela comes with the paneer based stuffing or precisely paneer topping. now many may argue, that how this can be named as paneer cheela. to answer that question, cheela is mostly served with savoury or spicy stuffing or topping. and the name for the cheela is typically derived from the topping used in it. i personally like my cheela with a heavy stuffing in it. 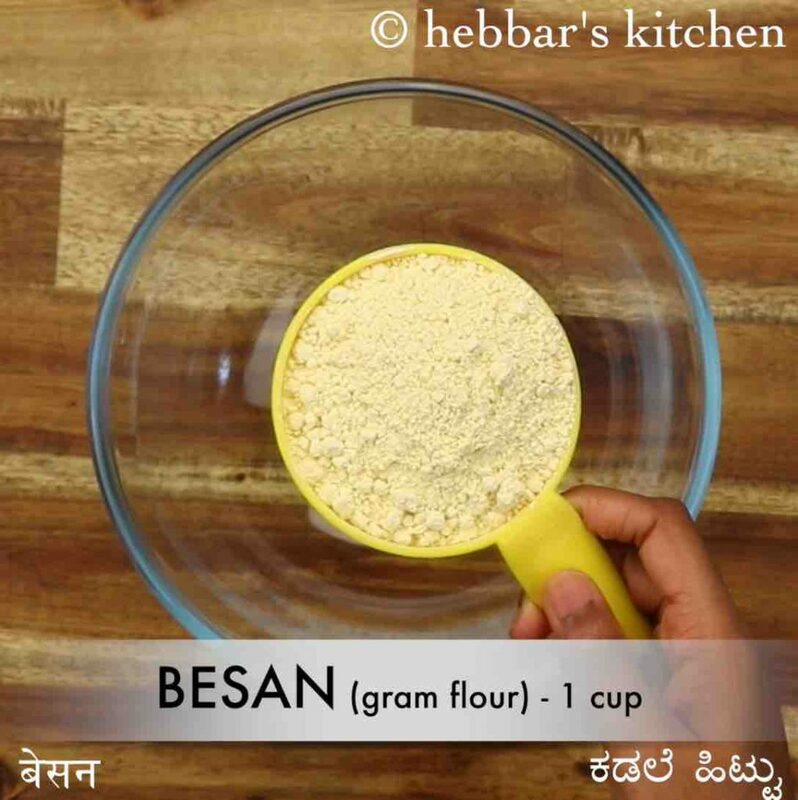 i cannot have besan pancake by itself and i need something with it. paneer or any mixed veggie stuffing should do for me. 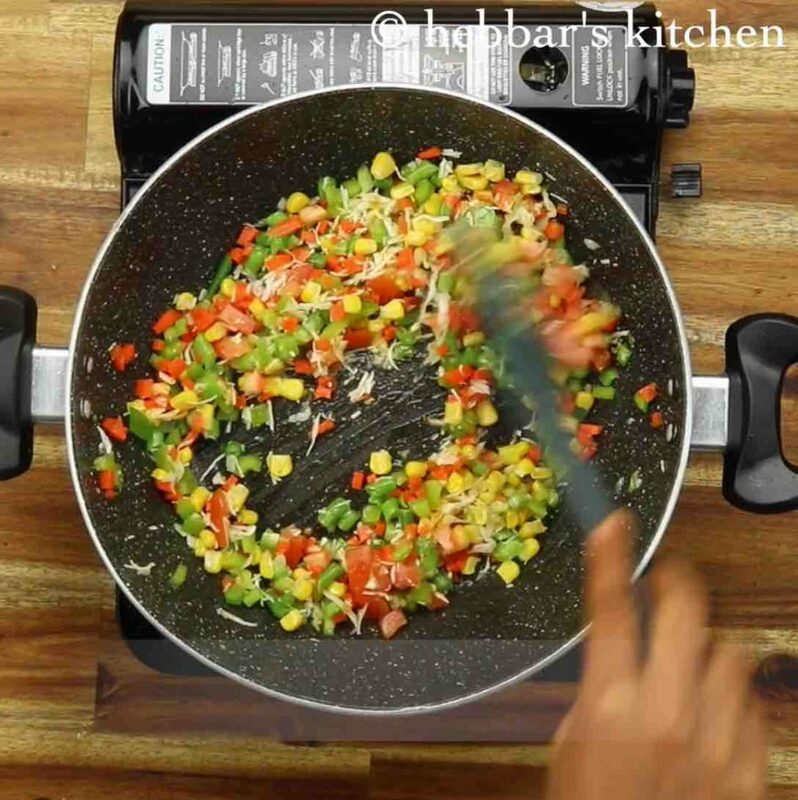 anyway, some tips, suggestions and variations to the amazing and healthy paneer chilla recipe. 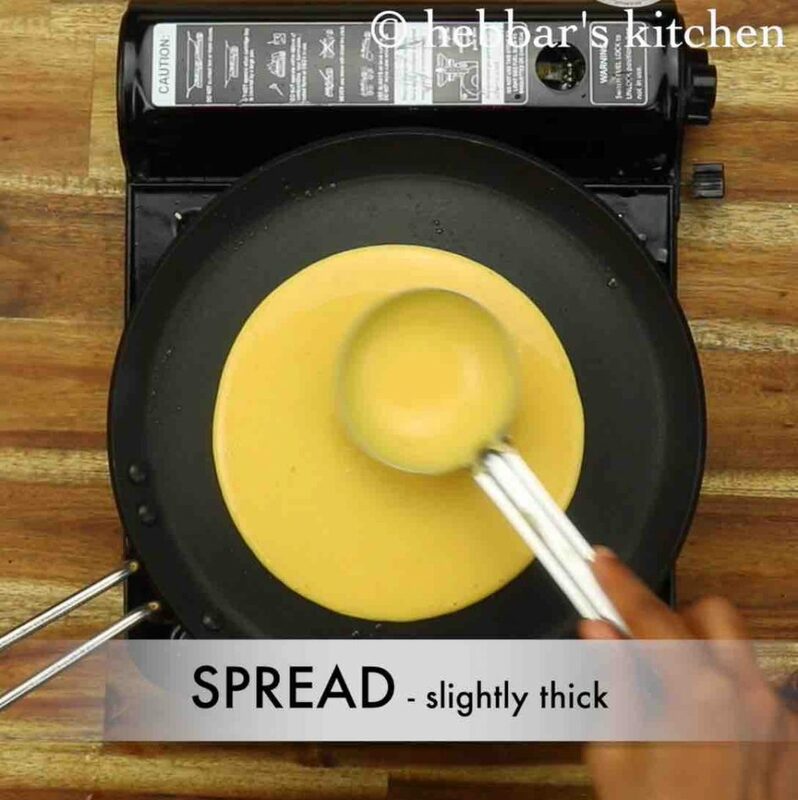 firstly, for any tasty cheela variation, the batter plays a critical role in it. 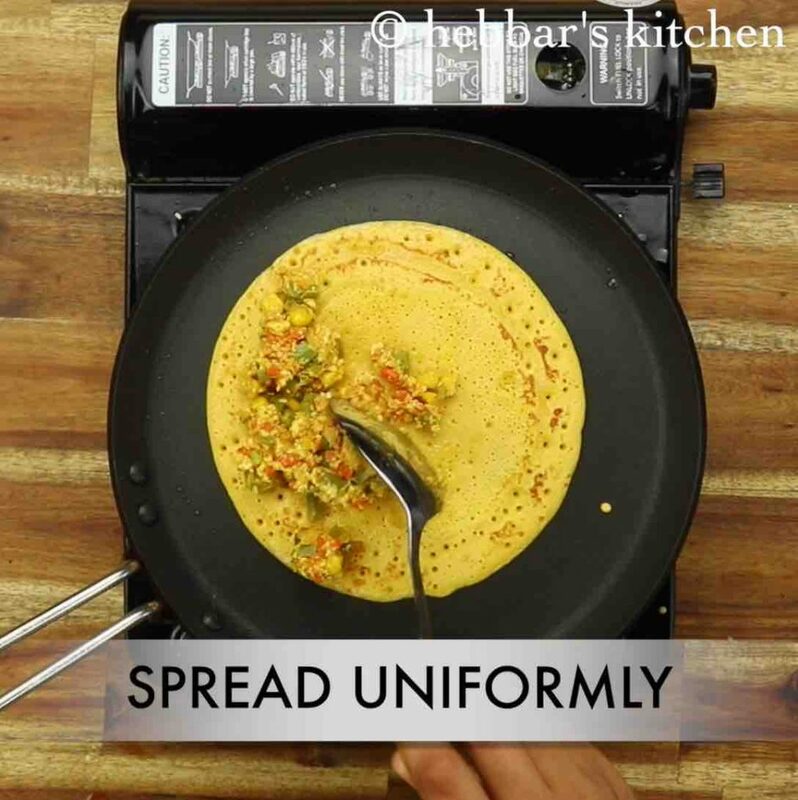 the batter has to be neither thick nor thin and has to be somewhere in between like a dosa batter. 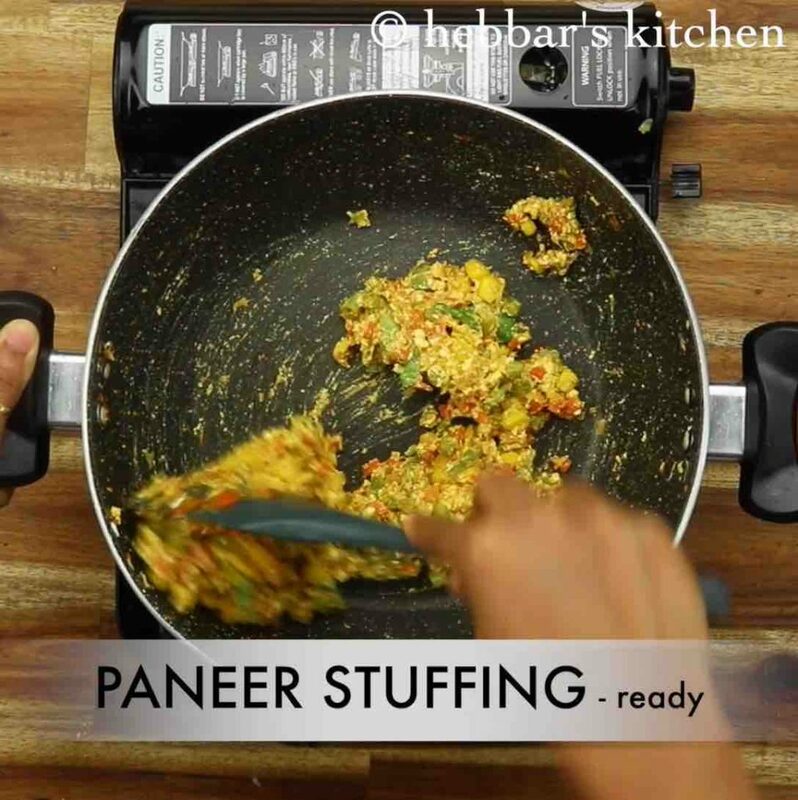 secondly, adding veggies to the paneer stuffing is completely open-ended and you can add as per your preference. but ensure that these veggies are finely chopped and do easily make nice and mushy stuffing. 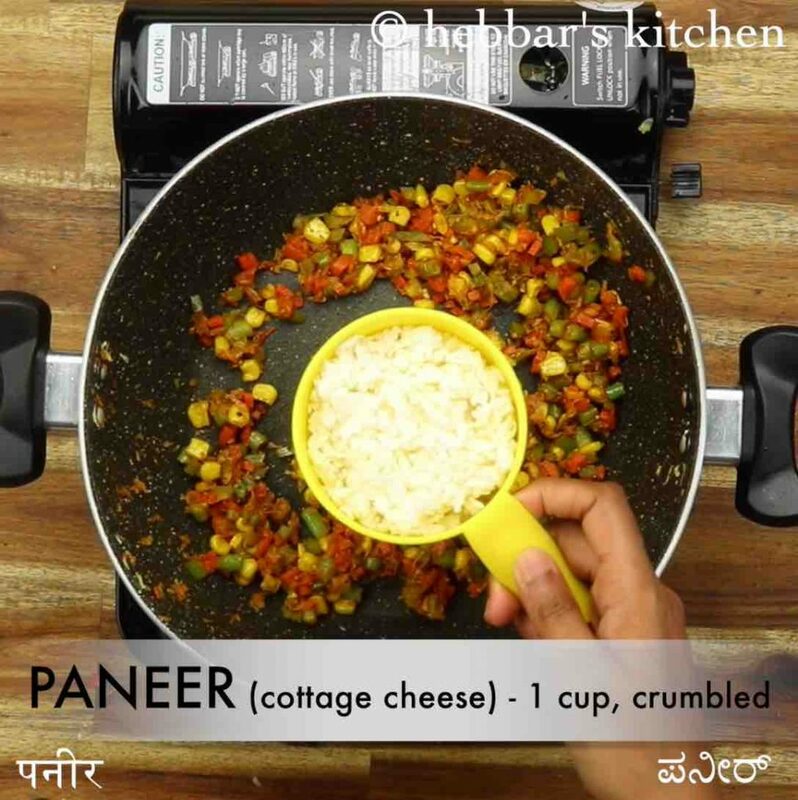 lastly, try to use freshly homemade paneer while cooking the paneer stuffing. 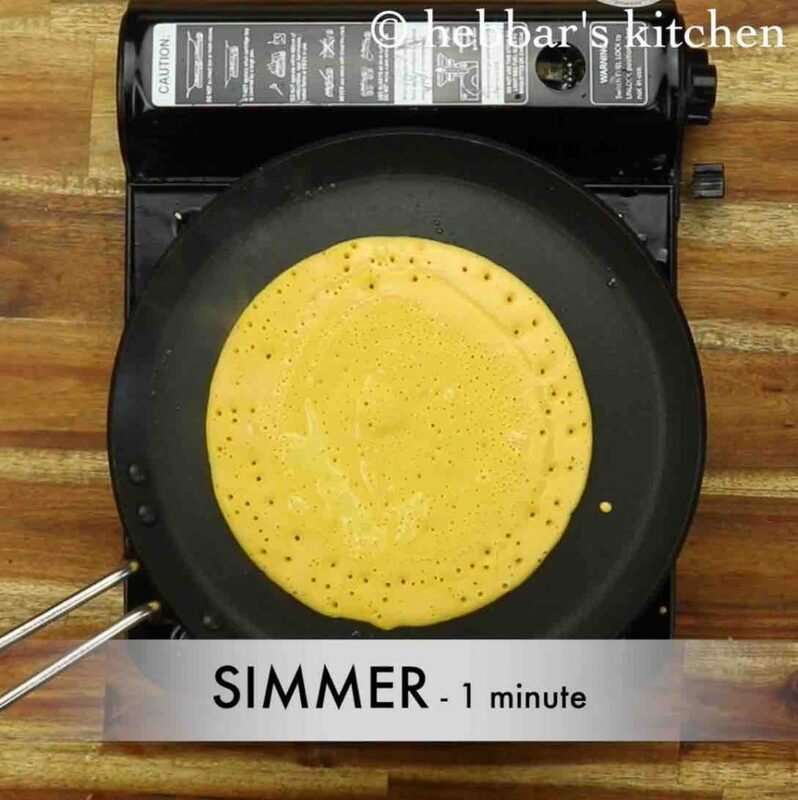 firstly, mix the besan chilla batter again and take a ladleful of batter. pour the batter on hot tawa. spread gently making sure the chilla is slightly thick. 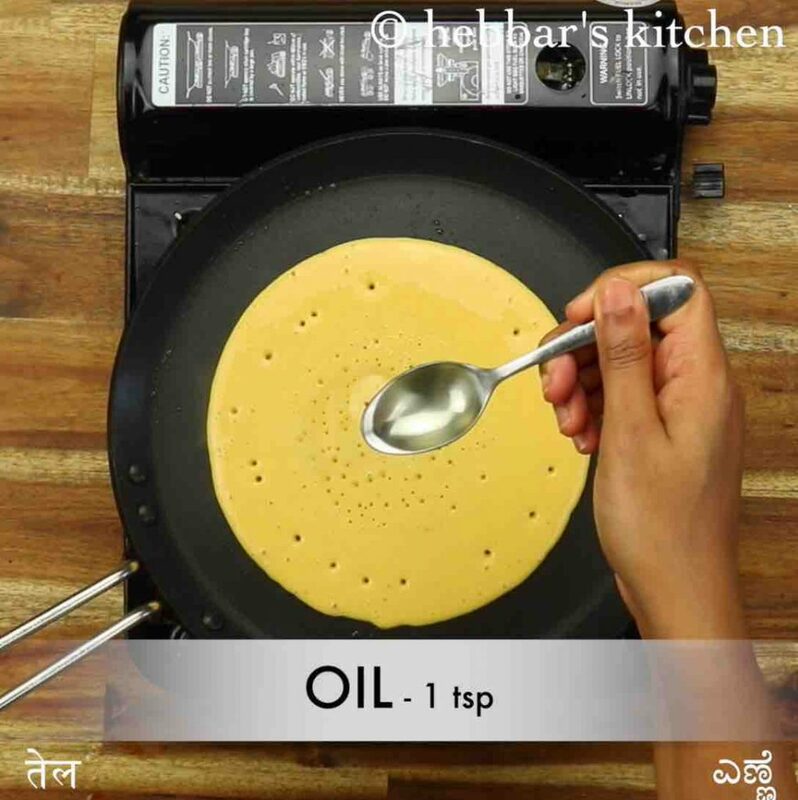 spread a tsp of oil around the corners. allow to cook on low to medium flame for a minute or until the bottom is cooked completely. 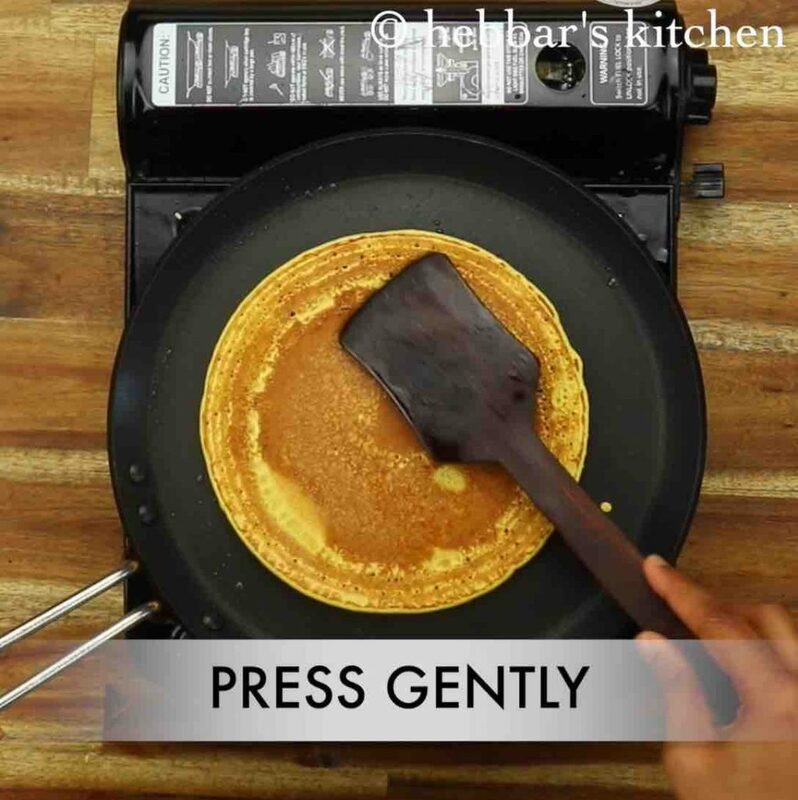 now flip gently without breaking the chilla. press gently, making sure the chilla is cooked from both sides. now spread 2 tbsp of prepared paneer stuffing on half of the chilla. 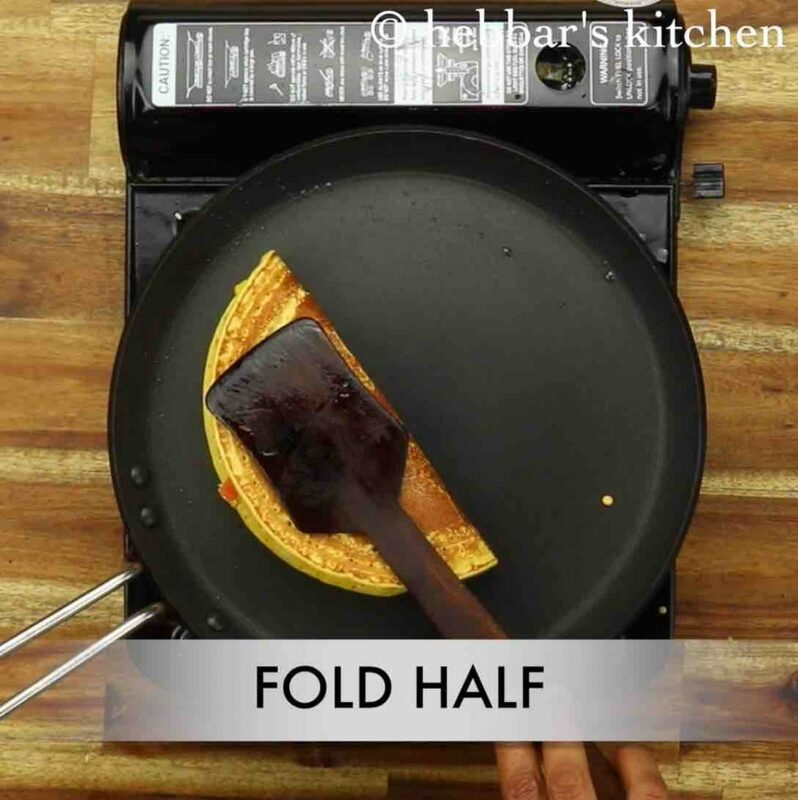 fold half and roast slightly crisp. 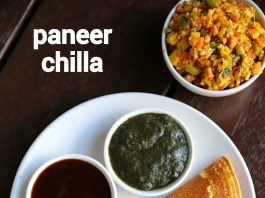 finally, enjoy paneer chilla with green chutney and tamarind chutney. 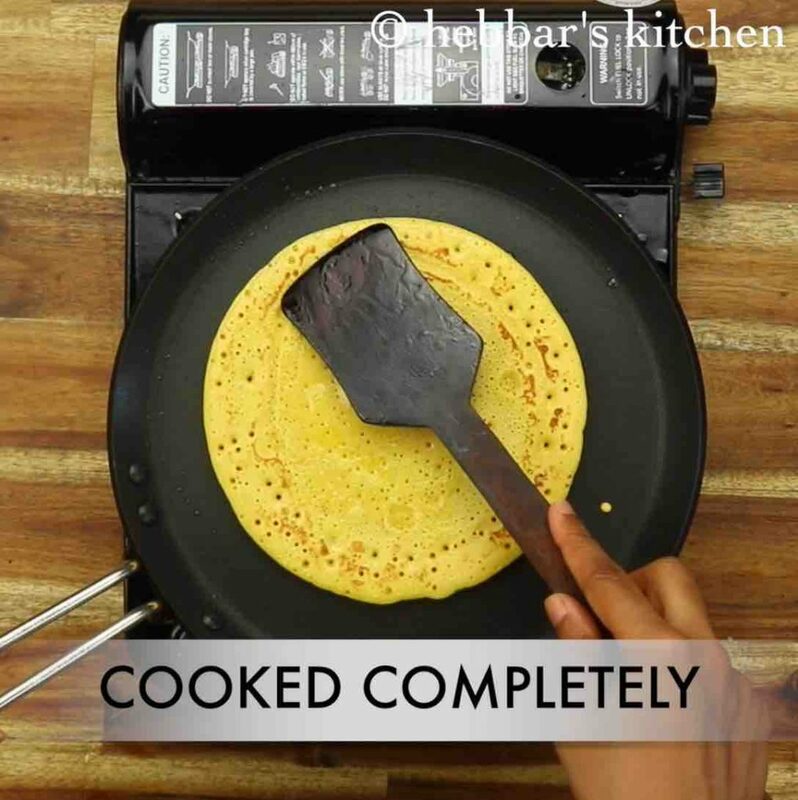 firstly, prepare the besan chilla batter by taking 1 cup besan, ¼ tsp turmeric, ½ tsp chilli powder, ¼ tsp ajwain and ½ tsp salt. 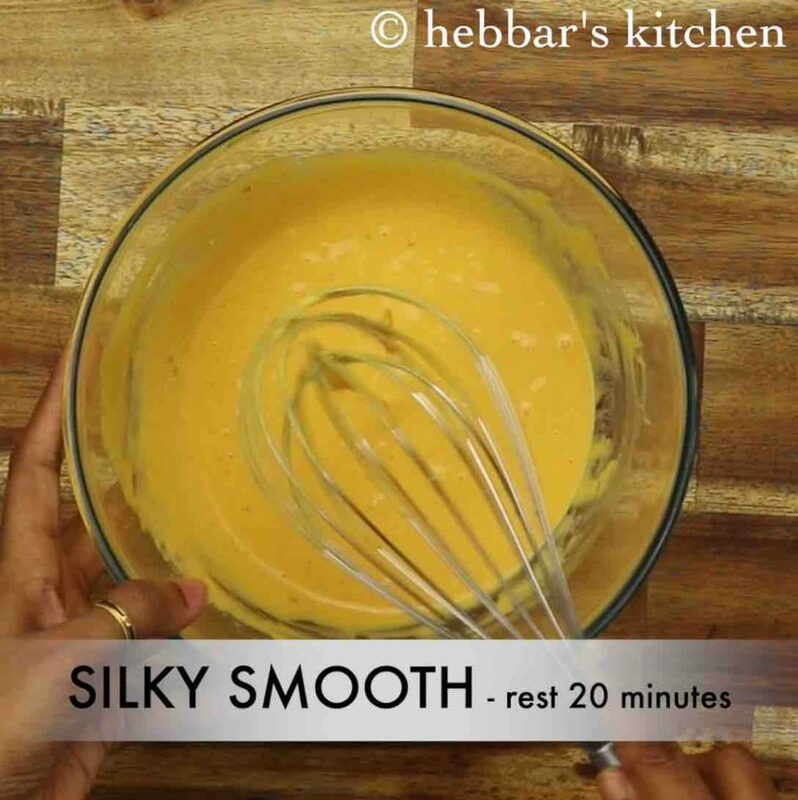 add ½ cup water and mix using a whisk. 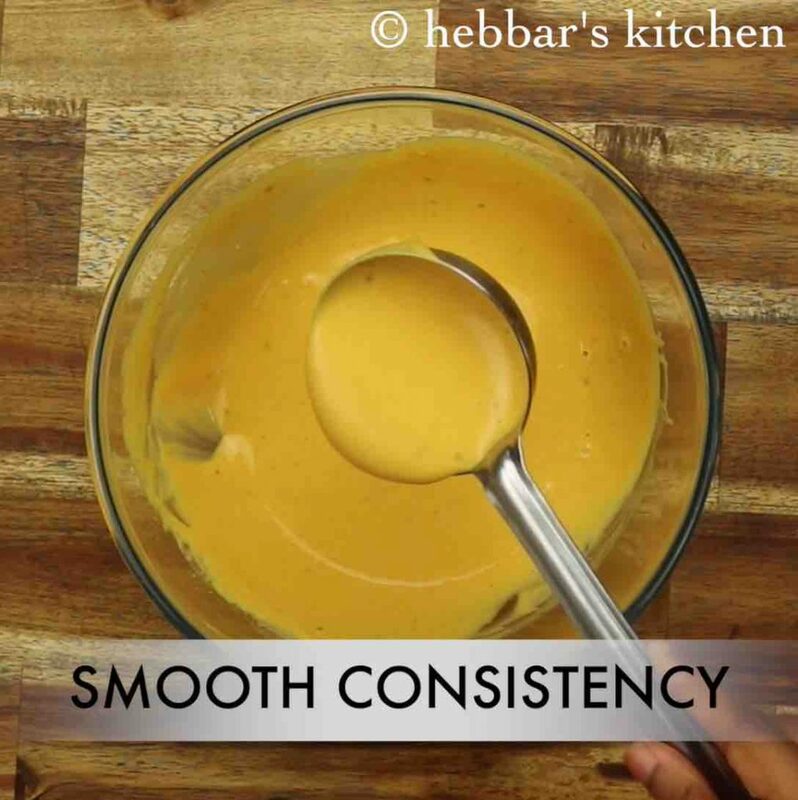 further, add ¼ cup water and whisk again to a smooth silky consistency batter. cover and rest for 20 minutes. firstly, in a large kadai heat 3 tsp oil and saute 1 tsp ginger paste. i have made this as no onion – no garlic recipe. 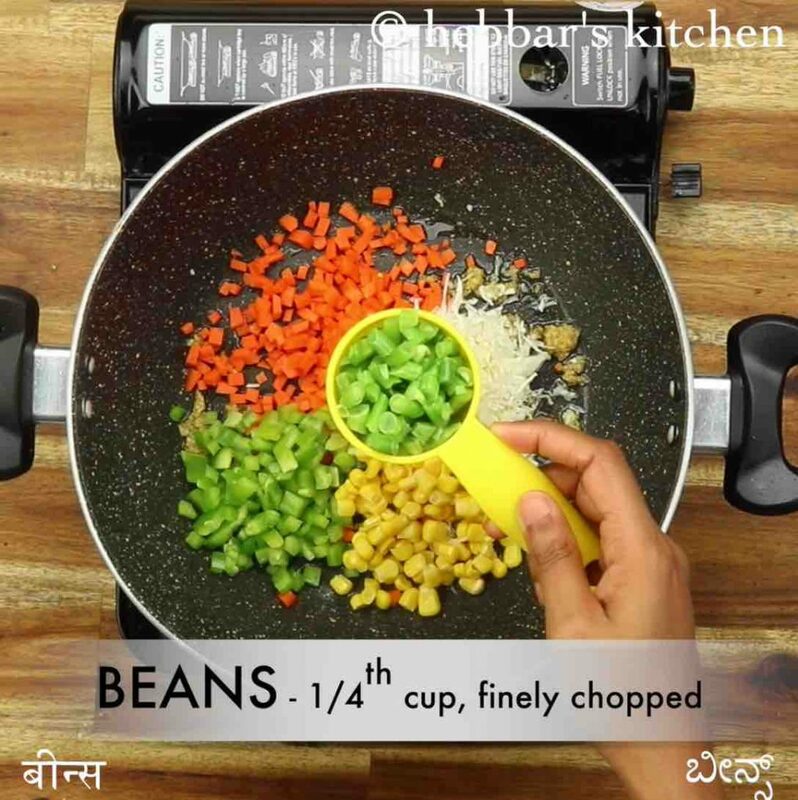 add ¼ cup carrot, ¼ cup cabbage, ¼ cup capsicum, ¼ cup sweet corn, ¼ cup beans and ½ tomato. 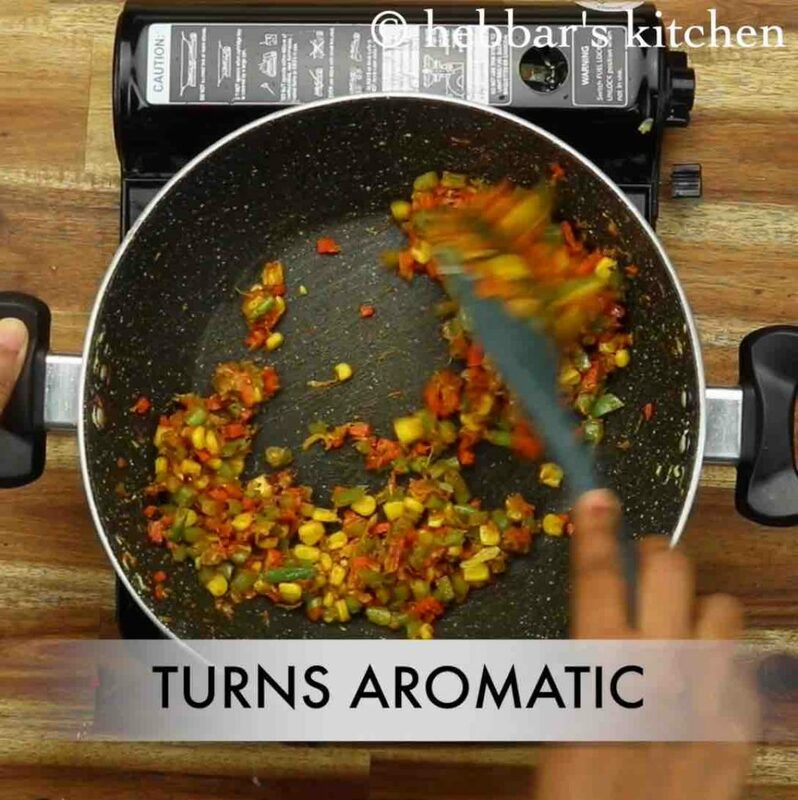 saute for 2 minutes or until vegetables are cooked yet retain their shape. 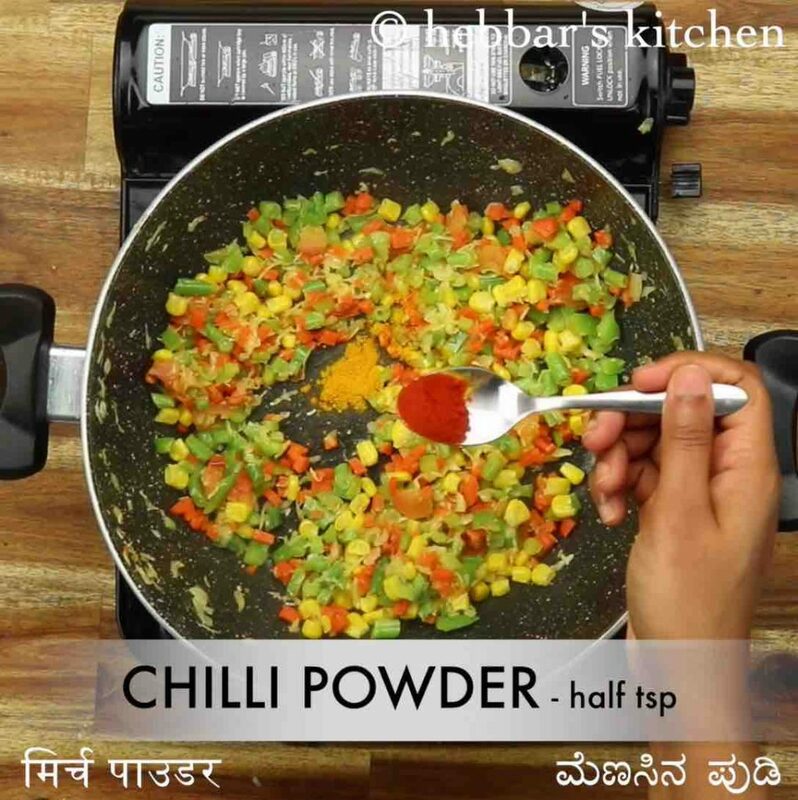 further add ¼ tsp turmeric, ½ tsp chilli powder, ½ tsp pepper, ½ tsp salt and ¼ tsp garam masala. saute for a minute or until the spices turn aromatic. additionally add 1 cup paneer, 2 tbsp coriander and saute for a minute. finally, paneer stuffing is ready. keep aside. firstly, mix the batter again and take a ladleful of batter. pour the batter on hot tawa. spread gently making sure the chilla is slightly thick. 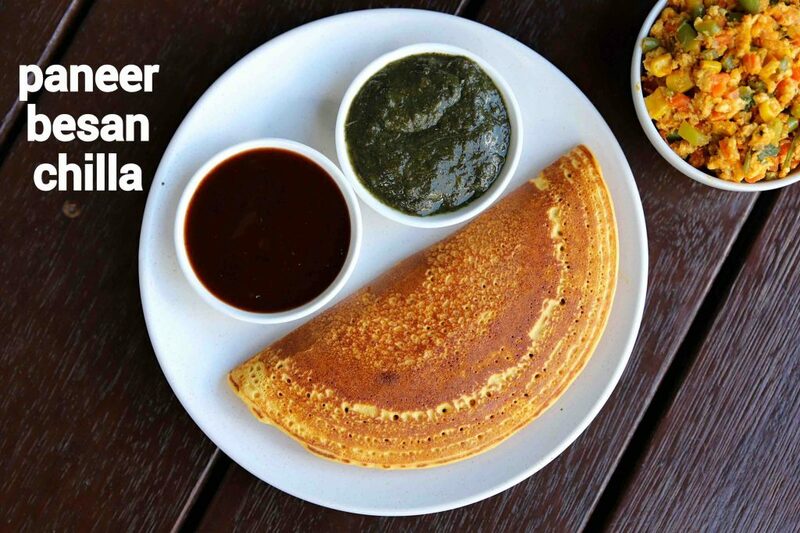 firstly, the paneer stuffing can be stuffed in between moong dal chilla as well. also, add vegetables of your choice to make it more nutritious and tasty. 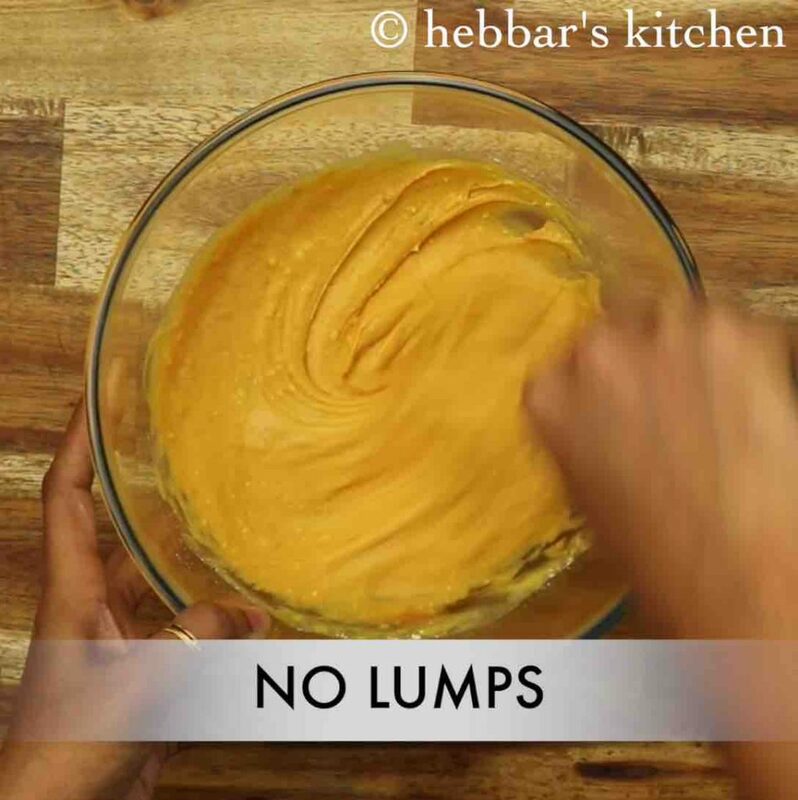 additionally, whisk the batter well else there are chances for lumps to be present. finally, paneer chilla recipe tastes great when the stuffing is spicy.